Education: Mr. Mbeki received a BA in Economics from the University of London University (BA), and an MA in Economics from the University of Sussex. Thabo Mbeki has been involved in politics since his early age. After joining the ANC Youth League at the age of 14, he was later elected Secretary of the African Students' Association (ASA) while in college. Following the political arrest of various opposition leaders, including Mr. Mbeki’s father, Mr. Sisulu and Mr. Mandela, Mr. Mbeki left the country in 1962. While in exile, he continued to represent the ANC abroad and managed to become political secretary in the office of Oliver Tambo, and then director of information. From this position he played a major role in turning the international media against apartheid. During the 1980s Mbeki rose to head the department of information and publicity and co-ordinated diplomatic campaigns to involve more white South Africans in anti-apartheid activities. From 1989 Mbeki headed the ANC Department of International Affairs, and was a key figure in the ANC's negotiations with the former government. 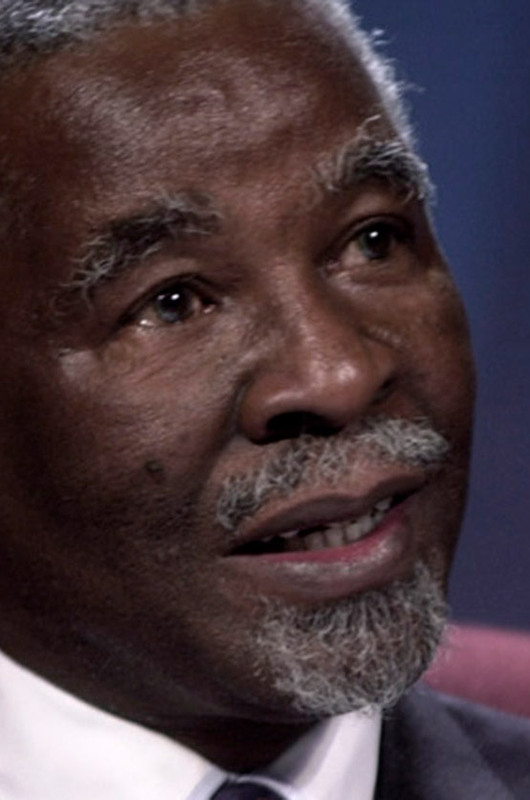 Mbeki was hand-picked by Nelson Mandela after the April 1994 general election to be the first Deputy President of the new Government of National Unity. After the National Party withdrew from the Government of National Unity in June 1996, Thabo Mbeki became the sole Deputy President. At the African National Congress 50th National Conference in Mafikeng in December 1997, Thabo Mbeki became the new President of the African National Congress. As the leader of the biggest party, he won the 1999 presidential elections. He remained President until his resignation on 20 September 2008. During his tenure, Mr. Mbeki’s government booked important social and economic progress in South Africa. He attracted the bulk of Africa’s Foreign Direct Investment and made South Africa the focal point of African growth. He was the architect of NEPAD whose aim is to develop an integrated socio-economic development framework for Africa. He also oversaw the successful building of economic bridges to BRIC (Brazil, Russia, India and China) nations with the eventual formation of the India-Brazil-South Africa (IBSA) Dialogue Forum. Finally, Mbeki has mediated in difficult and complex issues on the African continent including Burundi, Democratic Republic of Congo, the Ivory Coast, and some important peace agreements. He also oversaw the transition from the Organisation of African Unity (OAU) to the African Union (AU).